All along I have said I need your prayers. If you have not begun yet, this is a good time to start. Our Board of Managers of the Missionary Society is taking this opportunity of having a new executive director to have a special workshop meeting of prayer and vision seeking on April 15, 2012. It is healthy for any organization to regularly stop and take stock of what they are doing right and what might be improved upon. 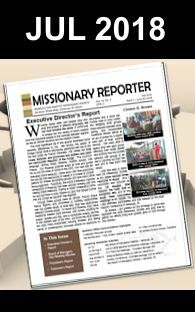 With the Missionary Society it is particularly important that our leadership take time and pray together, seeking God’s guidance in what He would have us do, where His priorities lay, and how he would have us carry out His mission to see the Good News of the Kingdom of Heaven preach to all peoples, here and abroad. My hope is that we can take everything off the table and evaluate what God would have us put back on, for His ministry through the Seventh Day Baptist Missionary Society. I believe I can safely say we will still be committed to our core mandates of spreading the gospel and promoting kindred ministries. However, how we are going to take advantage of new technologies, our current resources, and what we believe God is equipping us to do in this new and possibly final century, is where I believe there is wisdom in seeking our Father’s face corporately with the intent to have Him guide our steps together.